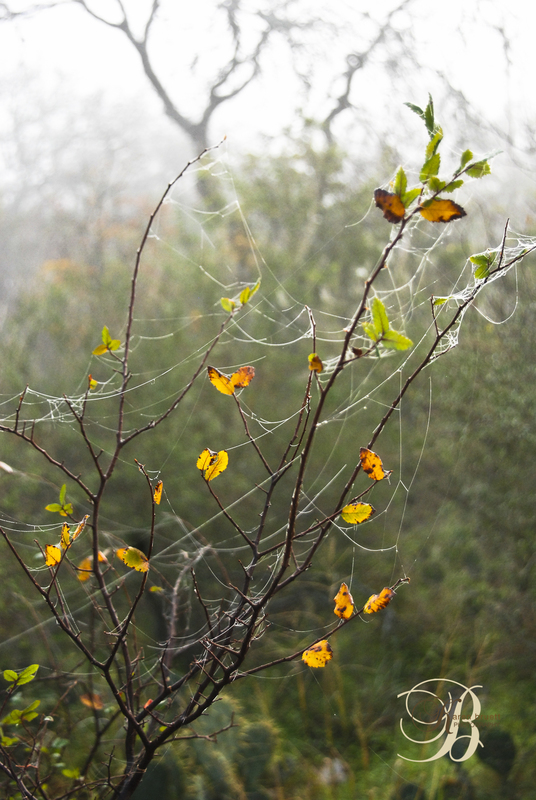 This morning was cold, and damp. 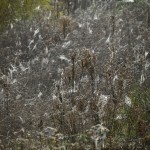 I was reconsidering my morning walk when I noticed the trees at the corner of our yard were filled with spider webs. 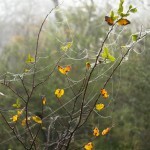 There were streamers, ribbons, pinwheels, and half moons wrapped around the bushes, and entangled in the brush. 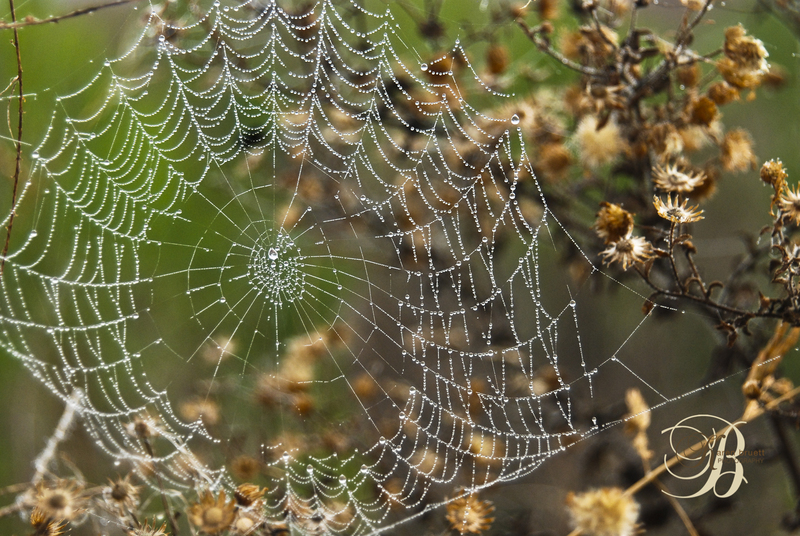 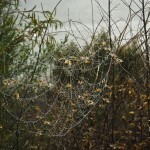 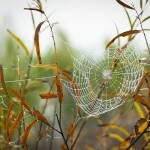 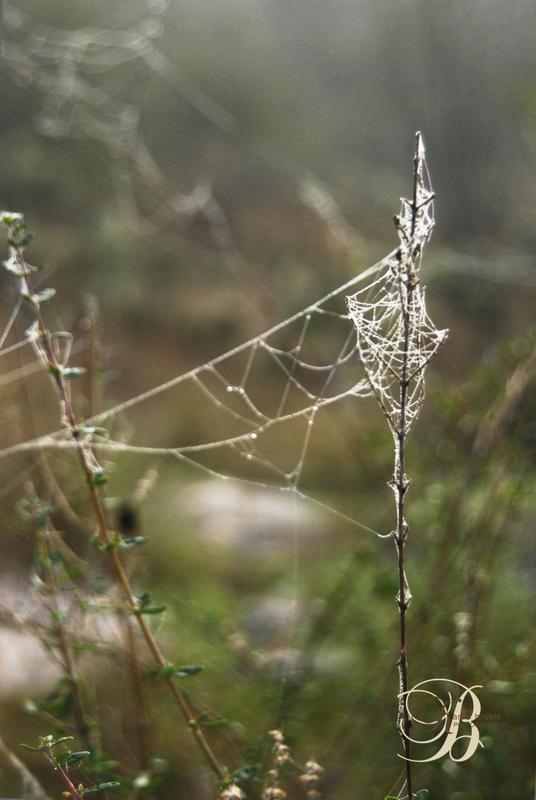 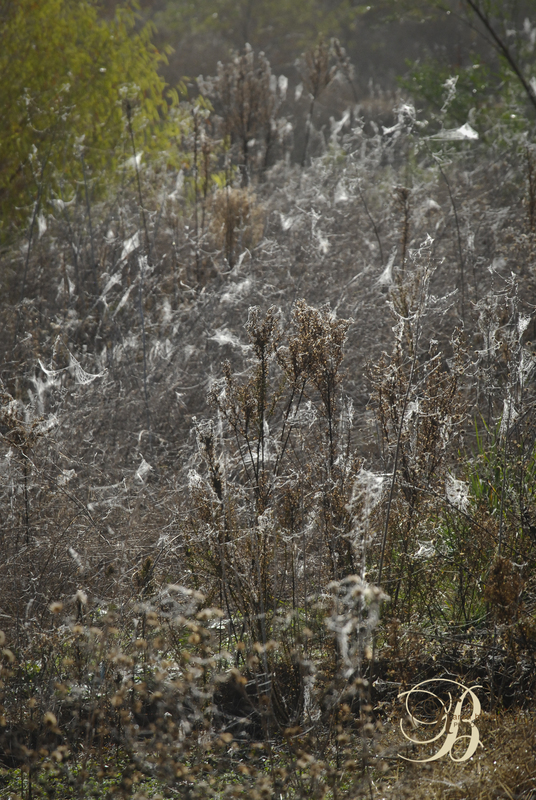 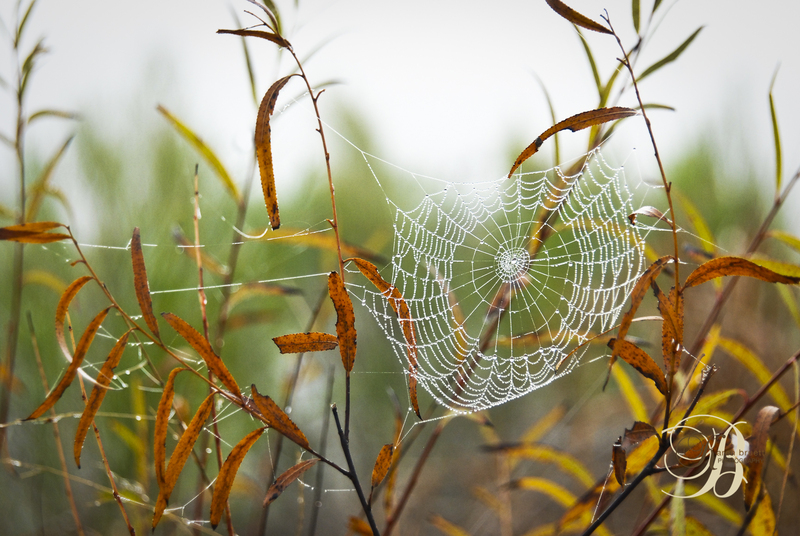 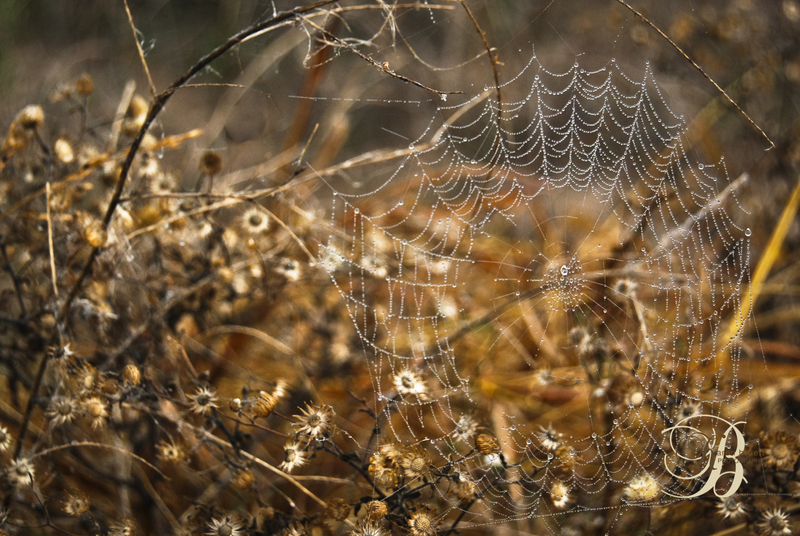 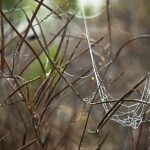 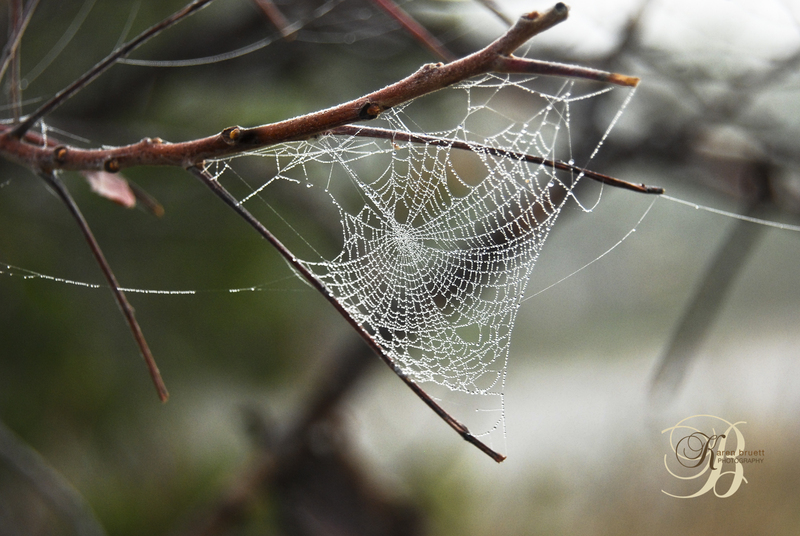 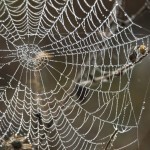 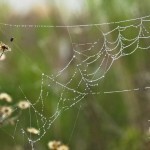 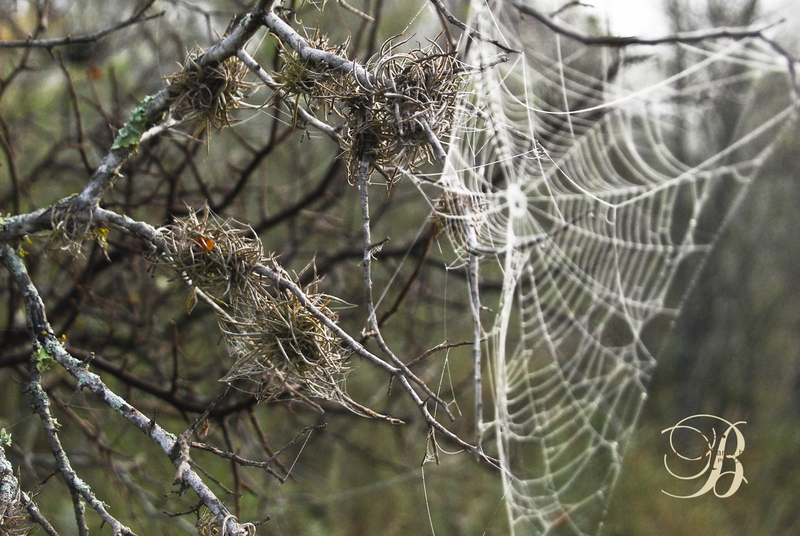 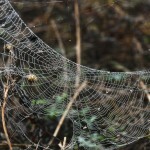 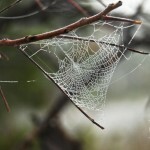 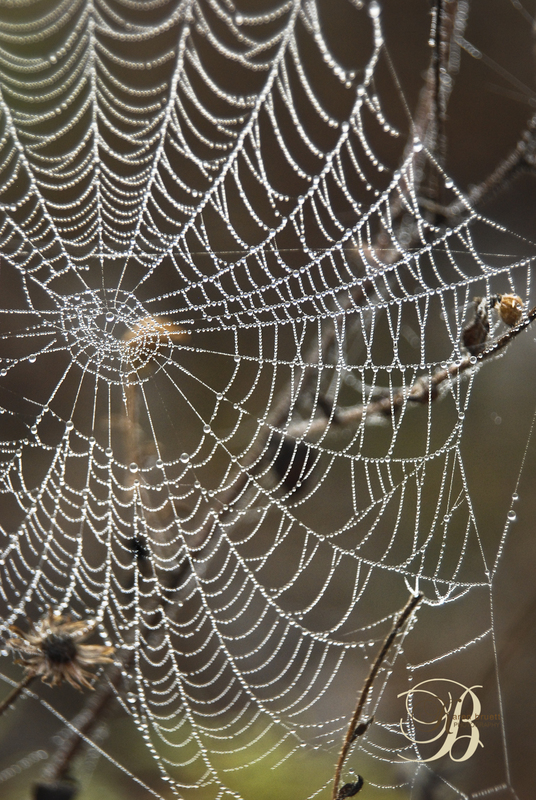 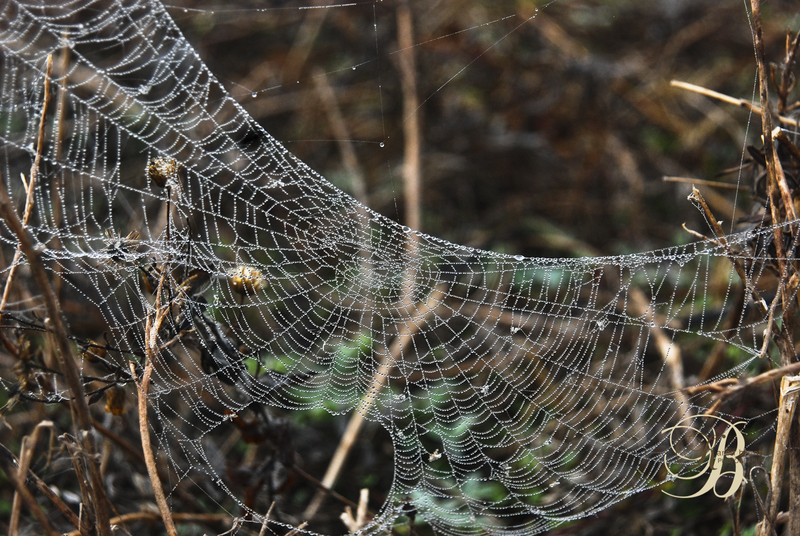 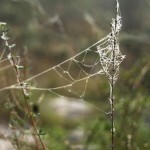 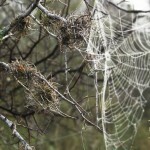 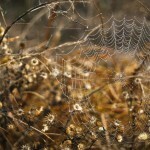 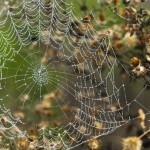 I followed the spider’s handiwork as it danced across the treetops, and spun down to the river. 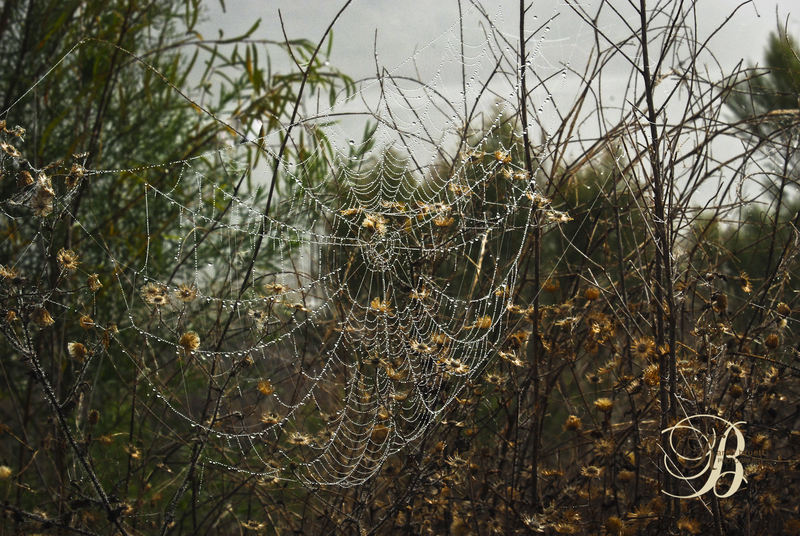 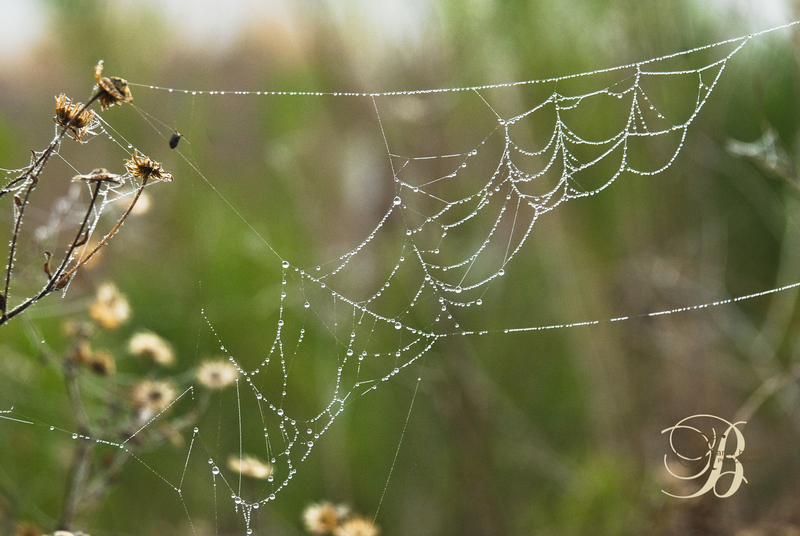 I walk this path every morning and wondered, “how could I miss these webs?” And then I realized that sometimes it takes a misty morning to see things clearly. 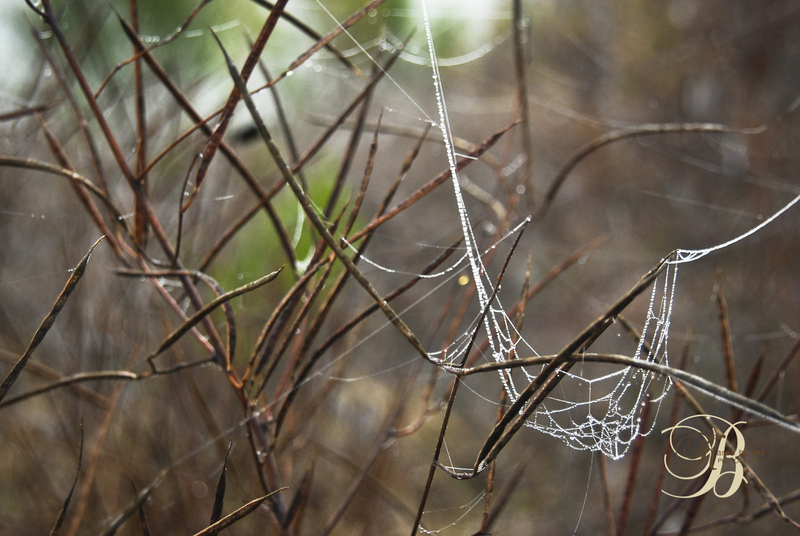 Previous post: Family Portrait Time…..